There are certain applications people download the moment they purchase a new mobile device like Swiftkey, Facebook Google Chrome etc. Pushbullet is an application that deserves to be on the same field with the aforementioned apps. In fact for many people it already is. 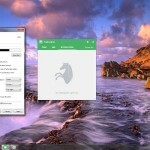 If you have not heard about Pushbullet before, then you are in for an absolute treat. Keep reading to check out our in depth review of this highly utilitarian application. 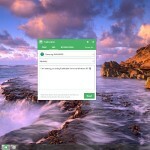 To keep things simple, Pushbullet is an application available on both Android and iOS that allows you to effortlessly share things between your mobile devices and your PC (a beta version is available for Windows ) or Mac. 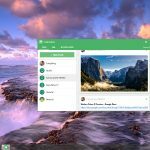 Pushbullet also allows you to view and even respond to notifications directly from your desktop which is extremely handy and is something that we need as a first party feature on any mobile platform. The ease of use is a bit limited on iOS due to the restrictions on third party applications so we will be covering the Android version here. Now that you know what the application essentially does, let’s get into some detail. The best thing about Pushbullet is that it works exactly as advertised, no gimmicks or the likes. All you have to do is download the app on your device and install the Chrome plugin on your Mac or PC. 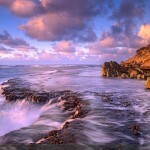 For even greater integration, you can also download the service for your Mac or PC. After that you can simply sign in with your Google or Facebook account. On your Android device, you will need to grant the app access to your notifications in the accessibility settings but that is very easy to do as Pushbullet takes you through it step by step. 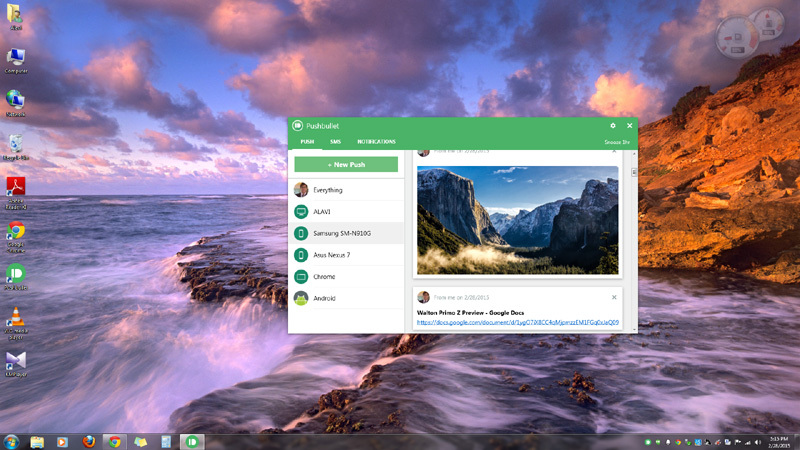 With Pushbullet, you can share full size images, links, files etc on the fly using the internet. All you have to do is select what you want to share and choose “A New Push” and then select your desired device. You have to have Pushbullet installed on that device too obviously. You can also add friends with whom you want to share things with from the app itself. The sharing mechanism works as effortlessly on desktop too. If you want to share something, simply right click it and select Pushbullet to send it flying to your device of choice. Now here is where Pushbullet gets interesting, often times people have multiple device but need to send things to certain ones only. In that case, you can choose to send things to a particular device or all of them. Even if you do not send something to one of those devices, you can still access all your shared files from the app. 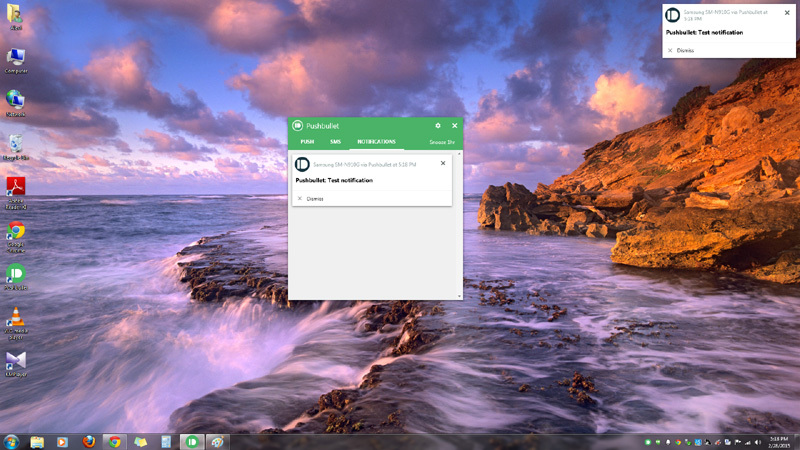 Next, we have the most promising feature of Pushbullet – notifications on your desktop. It is a commonly occurring affair, you are on your computer doing some work and you don’t hear the notifications coming to your phone. 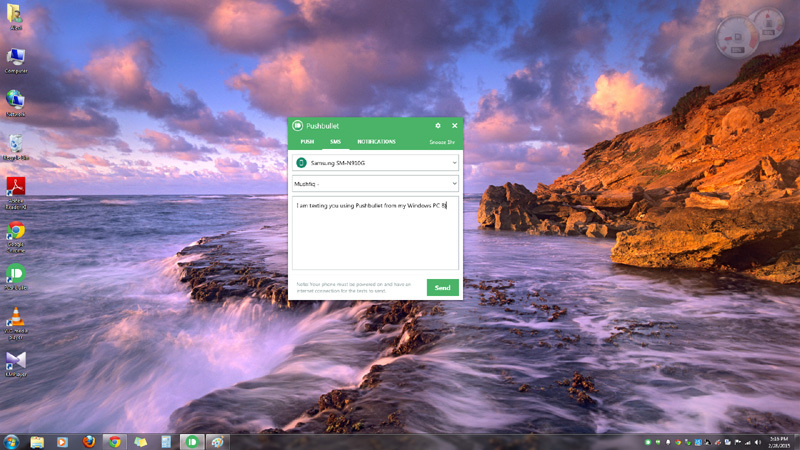 With Pushbullet, you can view your notifications right from your desktop even when Chrome is closed (must be enabled in the settings). For certain applications like Whatsapp, Facebook Messenger and Hangouts, you can even reply to your messages from your PC. But it doesn’t end just there. 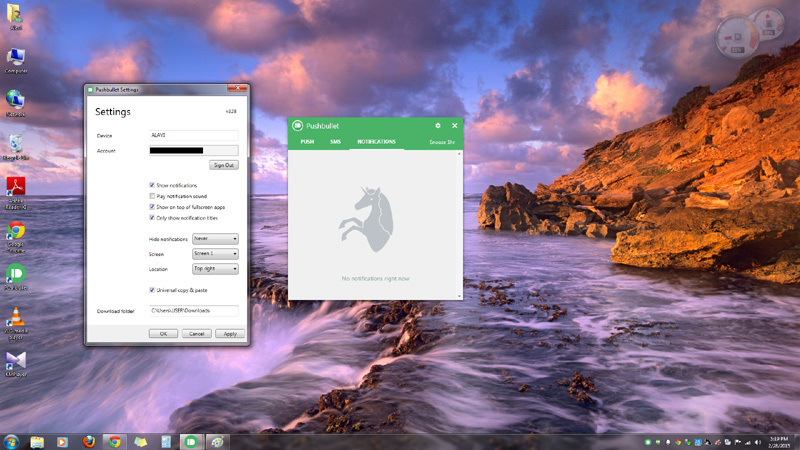 The last trick the application has is the ability to create and respond to SMS from your desktop. If you can comprehend how important it is to be able to respond to services like Whatsapp, then understanding the importance of responding to SMS should come easily. With Lollipop came Material Design which many developers have since adopted. The team over at Pushbullet have done the same and display one of the best possible examples of how things should look and feel. The app is clean, simple and beautiful. There is no nonsense or anything overly complicated for the user. The user interface is as straightforward as it gets which again is a huge plus for new users. At the end of the day, it is extremely difficult not to recommend Pushbullet. The app offers an essential set of services absolutely free of cost and does so flawlessly. It looks great, it performs smoothly and delivers exactly what is promised. 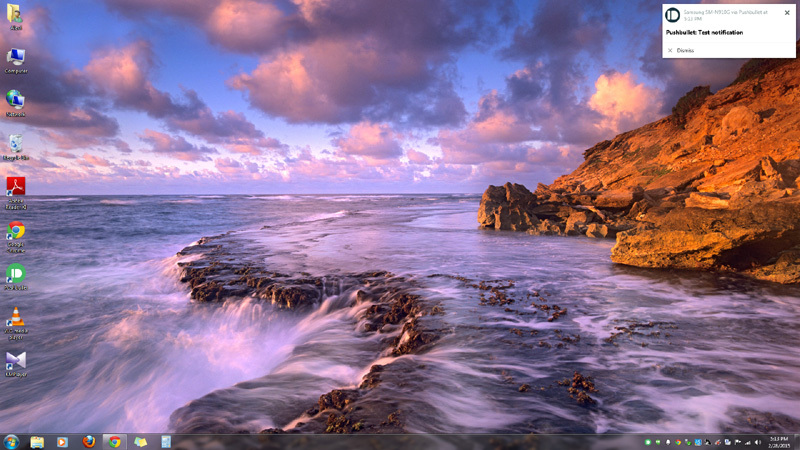 The extreme convenience of having access to your notification from your desktop is unparalleled. The further ability to respond to messages and SMS is simply the icing on the cake. To show just how handy and essential this application is, I will let you know that it is among the small number of apps that occupy my homescreens. All that is left for us now is to wait and observe how the developers make this already awesome app even better.